Our vans were built to keep you in motion. 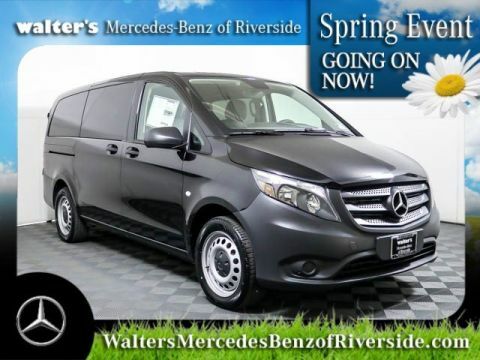 With legendary Mercedes-Benz durability and reliability, you'll spend your time and money on your business, not on your van. A 208 hp 2.0L 4-cylinder turbocharged Direct Injection gasoline engine gets you up and moving quickly. At an estimated combined EPA rating of 22 mpg for Cargo and Passenger models, the midsize Metris offers fuel consumption comparable to that of a small-size van. Refined for maximum efficiency and unmatched comfort, this quick-shifting 7-speed automatic transmission delivers better fuel economy, reduced noise and longer service life. With an impressive service interval of up to 15,000 miles, your van will spend less time in the shop and more time on the job. At Mercedes-Benz, we're constantly developing new innovations to make sure your job gets done as safely as possible. Crosswind Assist helps you stabilize your van and boosts safety in strong, gusting crosswinds. This standard feature helps you ensure that your vehicle remains in its lane at highway speeds. Standard on Metris vans, this dynamic handling system actively intervenes to help keep the van firmly under control and safe by automatically braking individual wheels and reducing engine power to help stabilize the vehicle if wheelspin, understeer, or oversteer is detected. Standard on Metris vans, Attention Assist(R) helps prevent drowsy driving by monitoring your driving patterns and providing an early warning in case fatigue is detected. 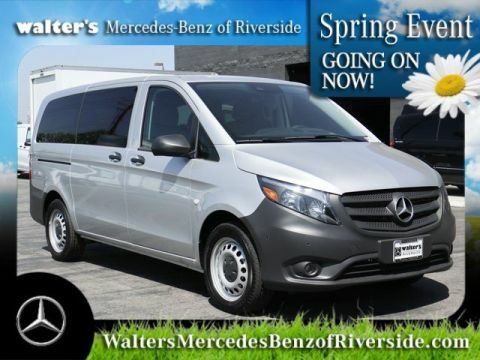 Let the 2019 Mercedes-Benz Metris Passenger Van impress you in person today at Walter's Mercedes-Benz of Riverside located at 8505 Indiana Ave. Riverside, CA 92504.